T.D. Jakes’ He-Motions meets The Art of War in this accessible guidebook to help today’s man navigate and thrive in these unpredictable times. Rev. Dr. Alyn Waller, mega-church pastor, shares wisdoms from his ministry and longtime martial arts experience to inspire and offer moral guidance to navigate the complex challenges today’s men face in daily life. Where do I fit in the job market and will I ever feel financially secure? How can I lead my family without being a chauvinist or blocking my partner from living fully and expressing her gifts? How do I deal with the fact that my partner makes more money—or has a better job, or owns the home we live in, or is more educated—than I am? These are but a few of the questions that Waller has heard over and over again as he’s counseled thousands of men, many of whom lack the skills to thrive in modern society. Dramatic shifts in our nation’s cultural, economic, social, and political landscape have upended their lives leaving them feeling betrayed and lost. 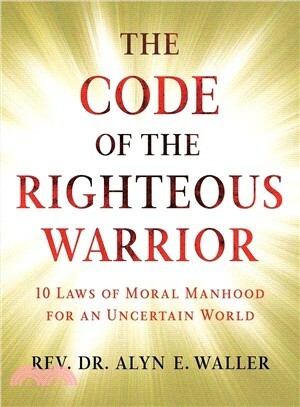 In this eye opening and inspirational book, Waller pulls from his Christian teachings and the lessons he’s learned from martial arts and extreme adventures to offer men innovative strategies to help them fight today’s challenges in ways that affirm their manhood. With ten crucial and accessible life tenets such as: prioritize the immediate threat then handle first things first; conserve your resource; and you can survive fear and pain, Code of the Righteous Warrior empowers us to live our best life and rise above any difficulties we may face.